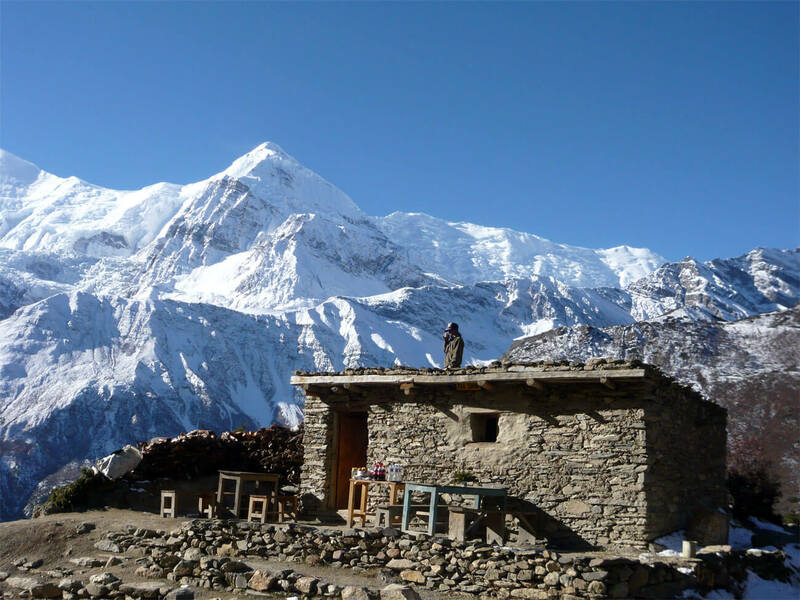 Max Altitude 5146m / 17769 ft.
Annapurna Circuit trek is no doubt one of the extraordinary trekking trails of Nepal allowing every traveler to wander around the open natural and cultural museum while encircling the massif Annapurna and her range (I, II, III, IV). This short version of Annapurna Circuit became more popular with recent progress on the roadway connecting Lamjung to Manang district. 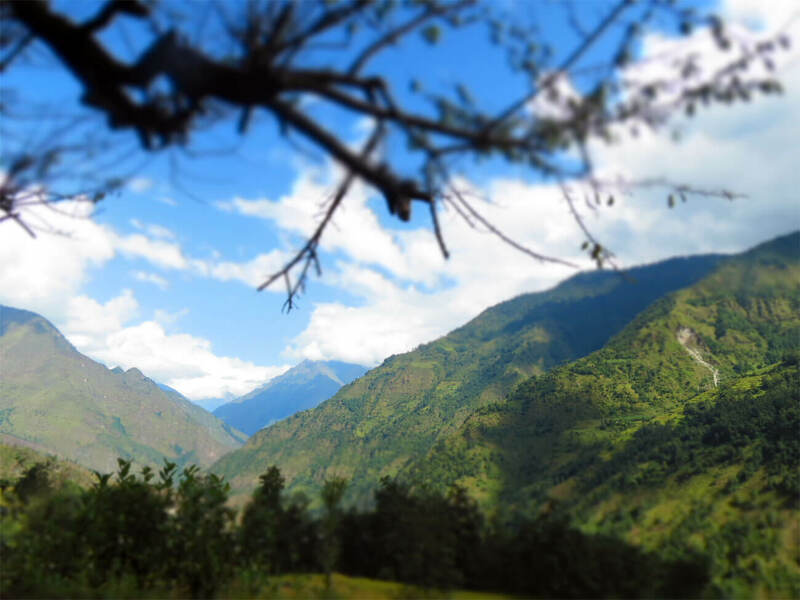 Instead of just one day drive on the highway to start the trekking to Annapurna Circuit, we take two-day drive by joining an exciting uneven road trip on the jeep from Bhulbhule to Chame and then continue our way up to Manang Valley. 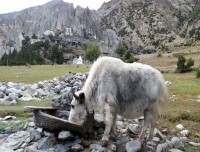 Our walk will be rewarded with a magnificent view of snow-capped peaks and old monasteries visit. On our acclimatization day at Manang, we make our way up to Chongkor Hill (4600m) which serves as an excellent viewpoint to watch over Manang valley (3540m) and giant Annapurna IV, III and II along with Pisang Peak (6091m), Tilicho Peak (7134m) and Shree Kharka Peak (m). And quick visit to Gangapurna glacier on the way back (or on the way go). 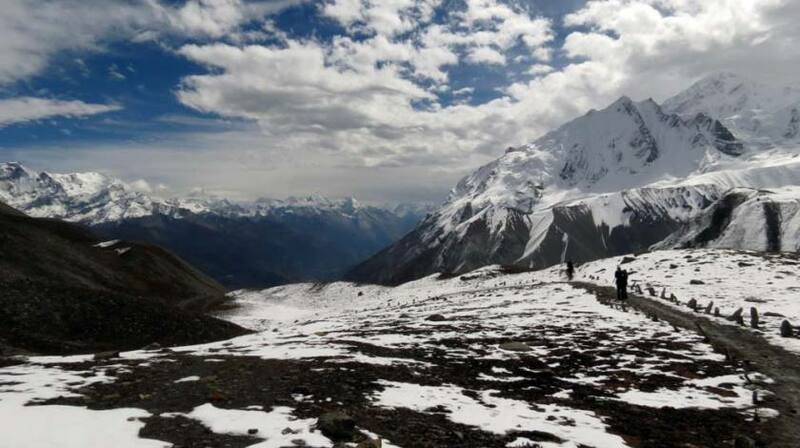 We continue gradually towards world biggest pass – Thorang La Pass (5416m) and reach the summit at early dawn and then continue descending to Muktinath Temple – sacred Hindu and Buddhist shrine. 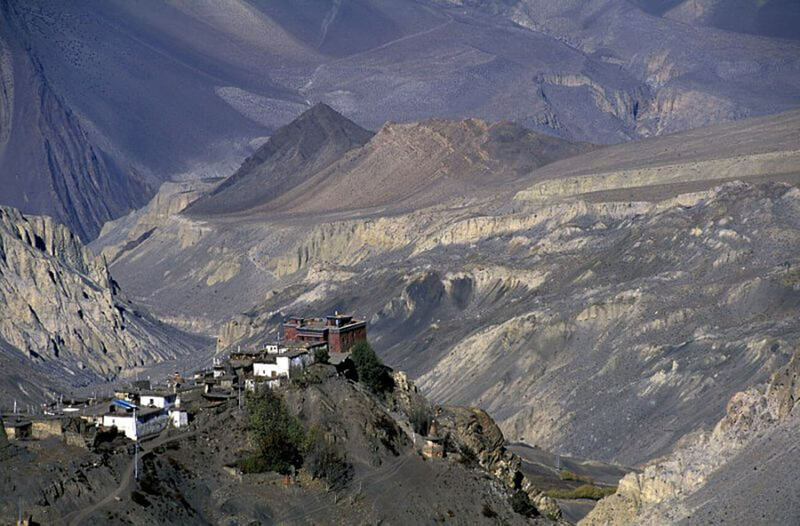 Lower Mustang section of trekking around Annapurna is a fascinating gallery of old Buddhist monasteries and their centuries old typical living style can be felt. We will visit more monasteries at Jharkot and even more at Kagbeni village before we arrive at last teahouse at Jomsom (Mustang Headquarter) from where we catch an early flight to Pokhara the next morning. 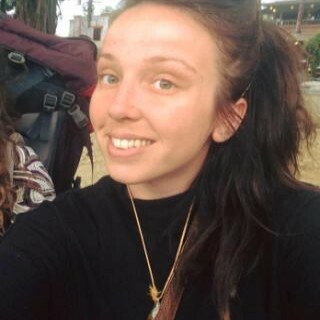 Any other expenses or activities besides “Service Provided"
We got to kathmandu without a plan. The only thing we knew was, we want to go trekking. We got this recommended in a coffee place, So we met there the next morning And sat down with Milan who really took his time to explain every little thing to us. So we choose to go annapurna trek. In the morning Aryan came to pick us up And this was the beginning of 2 beautiful weeks. Every single thing was very well taken care of and we even became friends! IT was a perfect way to do the trek. He told us a lot about the area, helped us with everything we needed. IT was the most inspiring experience of my life. 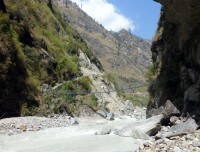 And after we even got a certificate of doing this trek! Thank you So much for everything guys, you are the best! See you next time, namaste ? 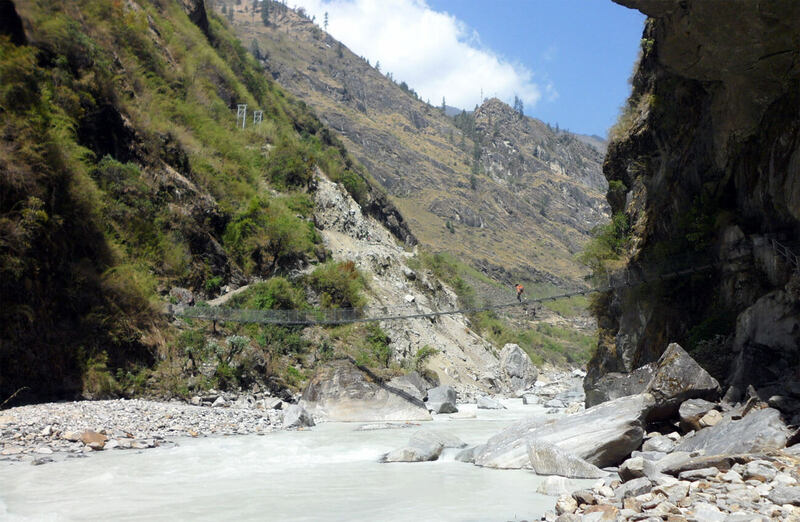 Room to Customize: Standard itinerary and route plans are typically designed considering the average level of fitness of travelers and level of altitude gain on the trek (and multiple other factors) which can be modified as per the interest, time and budget plan of travelers. There is always a room for customization of the given standard itinerary if it does not meet your way of interest and then please pass your opinion. We always liake to hear what you have to say. We are always happy to assist your valuable travel holidays in your manner with the best information that suits your way of traveling. It is your travel plan; you can choose what you want to do, of course with a lot of information first. Feel free to submit and share your travel ideas and we shall get back to you with more thoughts in no time.